We had some beautiful photo's submitted last week. @beer47 posted a pic of La Rulles Estivale that was on fire! @aberlind posed a Wampa with a Bridgeport Kingpin. Curiously, @bentwoookie has yet to post a Star Wars or Simpson action figure, but he did post a pic of the Jester King/Mikkeller collaboration Drink'in the Sunbelt. @AllOverBeer shared a pic of Pyramid brew that was fresh from the growler. Very eco-chic! 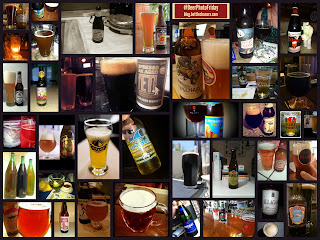 Thanks to these Twitter friends for their beer photos! The Next Craft Beer Trend: Session or Sour?